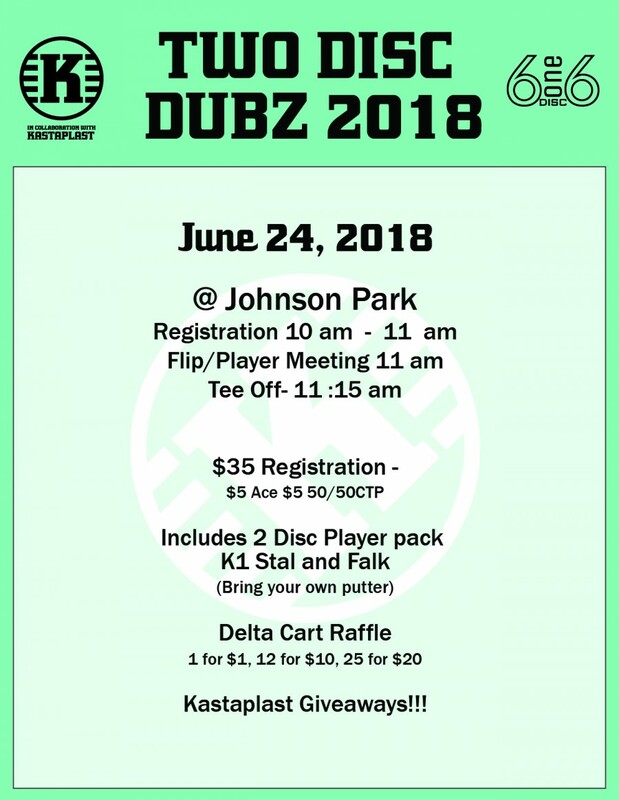 The Kastaplast Two Disc Doubles presented by 616 Disc will be a one round, random flip doubles tournament featuring quality Kastaplast discs from our local Kastaplast retailer 616 Disc! 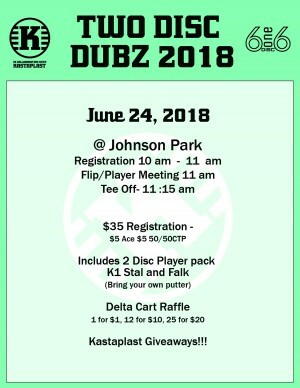 Each player will receive two discs in their player packs (a $36 value): The first thirty (30) to register will receive two custom stamped Kastaplast discs. Discs will be the Stal and Falk. Players will be able to use their own putter. The tournament will be 19 holes with a 76 Player Cap. No cashless pre-registration please. A raffle will be held at the tournament featuring prizes including a custom wrapped Delta Cart (a $500 value). Raffle Tickets will be 1 for $1, 12 for $10 and 25 for $20. There will also be a $5 Ace Pool and $5 50/50 CTP. 616 Disc is responsible for all refunds/cancelations.